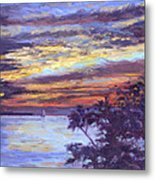 Lake Erie Sunset by Michael Camp - 8.000" x 6.375"
Lake Erie Sunset metal print by Michael Camp. Bring your artwork to life with the stylish lines and added depth of a metal print. Your image gets printed directly onto a sheet of 1/16" thick aluminum. The aluminum sheet is offset from the wall by a 3/4" thick wooden frame which is attached to the back. The high gloss of the aluminum sheet complements the rich colors of any image to produce stunning results. Thank you, Petko and Puzzle Piece....I mean Steve....lol! Thanks, Claudia and Bill. I appreciate it! Thanks to all for your encouraging comments. 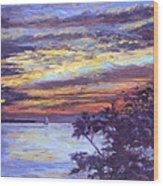 I was just out painting by the lake today, and had a beautiful evening with perfect weather and a lovely sunset! Awesome lake sunset, beautifully executed! F-V, congratulations on your sale! Michael its still to bad more of the shoreline was not for public and kept natural instead of residential. 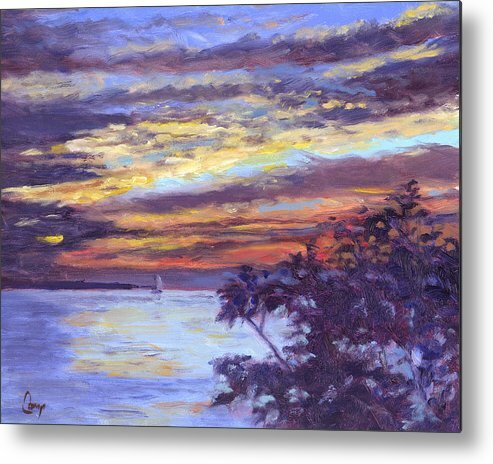 Beautiful painting Michael.I"ve seen many beautiful scenes like this living and camping on the shores of lake Erie great work! Thanks, Wade. We're lucky on this side of the lake to be able to enjoy sunsets reflected in the water. I guess on the Canadian side, the sunrises are more enjoyable. 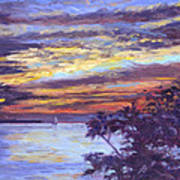 An oil painting of another beautiful sunset near Presque Isle on Lake Erie. A sailboat glides along the water at the end of a summer day.